This post is written as a response and commentary on an article that appeared here last week in Vanity Fair. Skim the Vanity Fair article first, or this won’t make much sense. Many of us are wondering why Vanity Fair published a long and detailed article, “Whose Yoga Is It Anyway?” about the politics and drama around the “Jois Yoga” shalas opening around the world, funded by the Sonia Tudor Jones, the wife of billionaire Paul Tudor Jones. The Sanskrit word Ashtanga, coined by the sage Patanjili, can be broken up into ashtau + anga = 8 limbs. Ashtanga cannot be trademarked. It is mentioned in countless yogic texts and refers to the eight-fold path that can help one to reach a state of “enlightment” or a layman’s definition- where the thoughts stop and we exist in the present moment and come fully into ourselves. The name “Jois Yoga” is now trademarked, and being used to open Ashtanga studios all over the world with the support of the Jois family. I do not think that as Ashtanga teachers we need to feel threatened by this. It makes sense that as yoga evolves and grows around the world, so will the ways that it is offered. More on this later. I’ve always bragged that Ashtanga (yes, it was bragging) was not named after one person like so many others styles of yoga – Iyengar, Bikram, Baptiste Power Yoga. I think this is a very neat little attribute. Sri K. Pattabhi Jois did not call the style that he inherited from his guru “Krishnamacharya Yoga,” nor did he call it “Jois Yoga.” In yoga, there is an emphasis on purposely NOT building up one’s name, in order to guard against developing a big ego, defeating the purpose of yoga. The pursuit of enlightenment involves making the ego very small until it eventually disappears. Humility and modesty are important traits of a teacher. Although Sri K. Pattabhi Jois became famous and had a celebrity following at the end of his life, he taught for many years without recognition. He lived simply and taught with such dedication and enthusiasm each day. The yogic texts instruct us to purposely not try to be the most popular yoga teacher around. Today success as a yoga teacher is often judged by how many Twitter followers or Facebook fans one has. In order to make a living as a yoga teacher, one has to have students and most charge money for classes. My own personal feeling is that there should be some promotion, but more through the power of teaching. One of my closest teachers says that the students will find their teacher, and it is our job to do our best as teachers. I’m not sure that Guruji would have wanted to see “stylish” yoga boutiques opening in his name- but who knows really? How can Ashtanga yoga serve communities? Yoga is a very personal path and people practice for many different reasons. It can bring better physical, emotional and spiritual health. Yoga serves the community. I wonder if Guruji would have wanted it to look like Jois Yoga is out there to build his name. I have no doubt that the intentions of the Jois founders are out of complete respect and love for Sri K. Pattabhi Jois, but would he have wanted to see things this way? Yoga can provide a wonderful service to the community without having trademarked names and stylish boutiques. In my opinion, the Asthanga name is served best by having teachers who get to know their students and can work with them on an individual level. In my experience, this is the only way that Ashtanga can safely be taught. It is both a mentally and physically demanding practice. It is mentally demanding because there are no distractions. You are with your breath, mind, and body—no distractions. Yes, the postures can be difficult, but this aspect should be taught slowly and with care. If a posture causes a student pain, will not force them to complete it. Ashtanga – hipsters and beautiful people? Not in NOLA. Ashtanga is often associated with its famous practitioners like Madonna, Sting, Gwyneth Palthrow, and William Defoe. I hope this doesn’t offend my student body- I’m taking the risk of sounding like a complete cheeseball – all the students are beautiful on the inside and outside. Who cares how close they come to the ideal of physical perfection. Those who are stiff, unhealthy and naturally inflexible have to put a lot of attention and awareness into each stretch and breath compared to the naturally flexible. New Orleans is probably one of the least pretentious cities in the USA. It draws those who love to live a little bit or far outside the lines drawn by society. We find very few yuppies here, very few who work very long hours. This is refreshing and as a teacher of ashtanga, I’ve noticed that yuppies love ashtanga vinyasa yoga. And they have lots of disposable income to pay for it (I used to be one of those when I lived in France and worked for Accenture). Here the studios are less rigid- I bring my dog to the studio, there is often friendly teasing, banter and laughter amongst the students. Does this make us less serious? YES! Does this make us less sincere? ABSOLUTELY NOT! Jessica endeavors to live by what she teaches in all aspects of yoga. After yoga touched her life deeply, she shifted paths to devote herself to spreading the wisdom of eastern healing modalities. A student of Ashtanga Yoga since 2000, Jessica studied primarily with the late Sri K. Pattabhi Jois (Guruji), who gave her his blessing to teach in 2005. 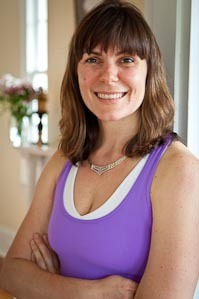 She is the only teacher in Louisiana to have attained the Level 2 Authorization from the Sri K. Pattabhi Jois Research Institute in Mysore, India. Since their meeting in 2003, Sri O.P. Tiwari has been Jessica’s spiritual guide and mentor. Both Tiwariji and Guruji have especially taught her that yoga is first and foremost about dedication to practice, and authentic teaching can only be rooted in one’s own experience. 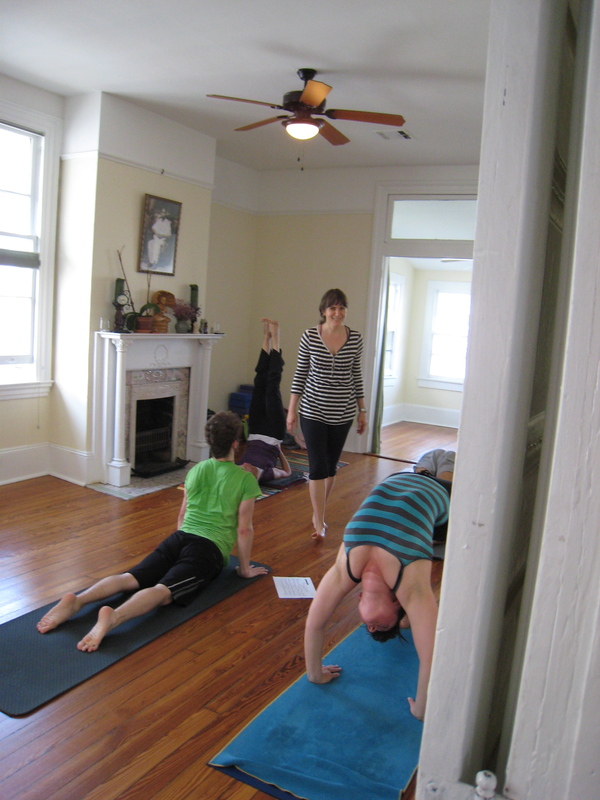 Living between India and Thailand until late 2007, Jessica returned to her birthplace of New Orleans and started Balance Yoga & Wellness shortly thereafter. 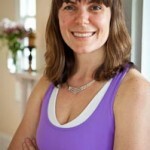 Jessica frequently travels to teach in Europe and Thailand, but will remain a lifelong student of Yoga and Ayurveda. She teaches with compassion and intelligence, and loves seeing how yoga uncovers the layers of dust, letting the spark of intelligence shine through each individual.